Want Tastier, Healthier, Less Expensive Food? Successful vegetable gardening requires a little bit of effort and some knowledge. If you'll provide the effort, we'll provide the knowledge. Together, we CAN make your vegetable garden a success. 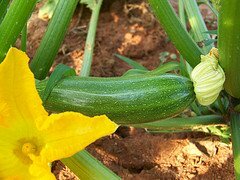 Just click on the links in the navigation bar on the left to learn how to grow each kind of vegetable. We've put together tons of information that includes planting, watering, fertilizing and harvesting tips and tricks. There's also information about different varieties of each vegetable and diagnosing and curing common plant problems. Additionally, we've created recipe pages with lots of ideas for each vegetable listed. Vegetable gardening can be very beneficial - it relieves stress, burns calories and literally puts food on your table. And the best part - anyone can grow vegetables in just about every living situation. It doesn't matter if you have a small patio and a few containers or acres of land. Start with some dirt and water and add a seed. Throw in a dash of sunshine, a pinch of elbow grease and a little bit of time. 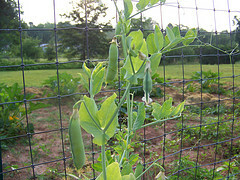 Thanks to mother nature - fresh vegetables will begin to appear in your backyard like magic. 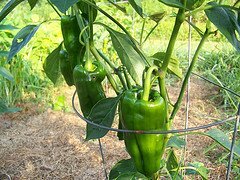 There are hundreds of different vegetables to choose from - and different ways to grow them. You can grow your own vegetables in a container or in the backyard. You can even grow them inside your home. 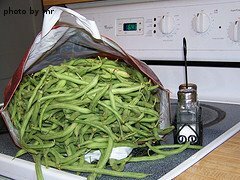 You can choose from hundreds of varieties of tomatoes, green beans, squash, peas, peppers, etc... You can grow organic vegetables and/or heirloom vegetables. Depending on where you live, you can plant a summer garden AND a winter garden. The possibilities are endless. Growing your own fresh produce is much less expensive than buying it in a grocery store. 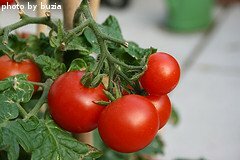 One tomato plant can easily produce 15 pounds of tomatoes. It might cost you $30 (or more) to buy 15 pounds of tomatoes. It would probably cost less than $6 to grow the same amount of tomatoes yourself. Vegetables just taste better if you grow them yourself. You appreciate them more because you know the time and effort that went into producing them. When you grow your own vegetables, you know exactly what you are eating. You know how much pesticide (if any) was used. You know how ripe it was, because you picked it yourself. You're also likely to eat more vegetables if you can walk into the backyard and pick them right off the plant. Who among us doesn't need to eat more vegetables? There's just something about growing your own food that satisfies the soul. Maybe it's digging in the dirt. Or maybe it's creating something from almost nothing. Vegetable gardening is very primitive, but yet somehow refined. If you put in the effort, you're usually rewarded with a bountiful harvest.